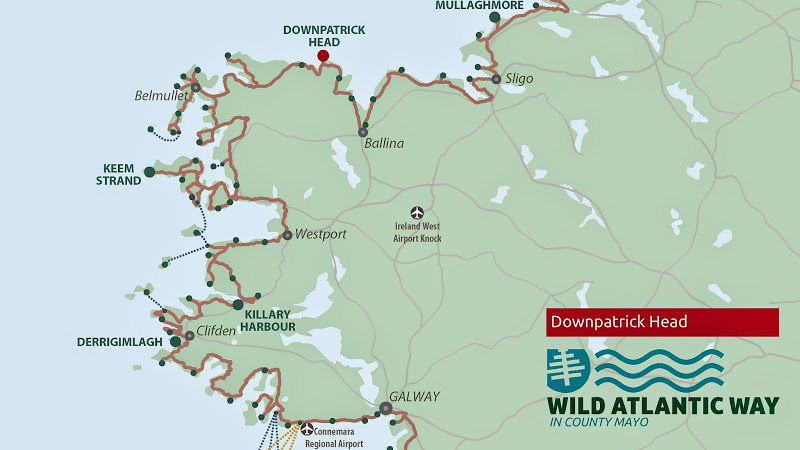 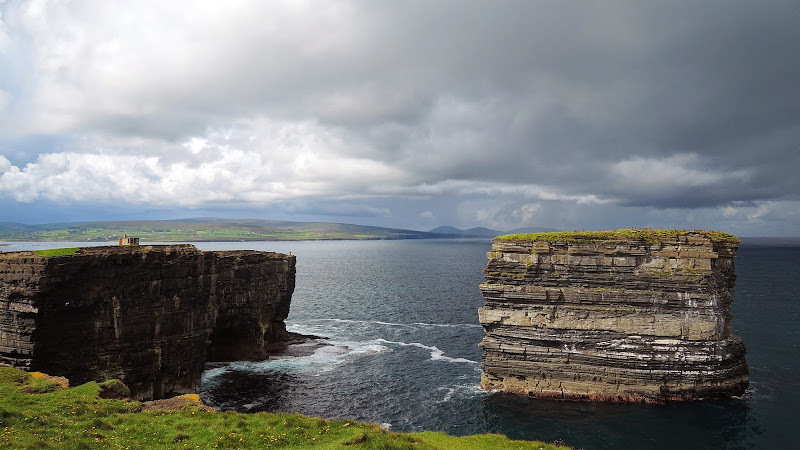 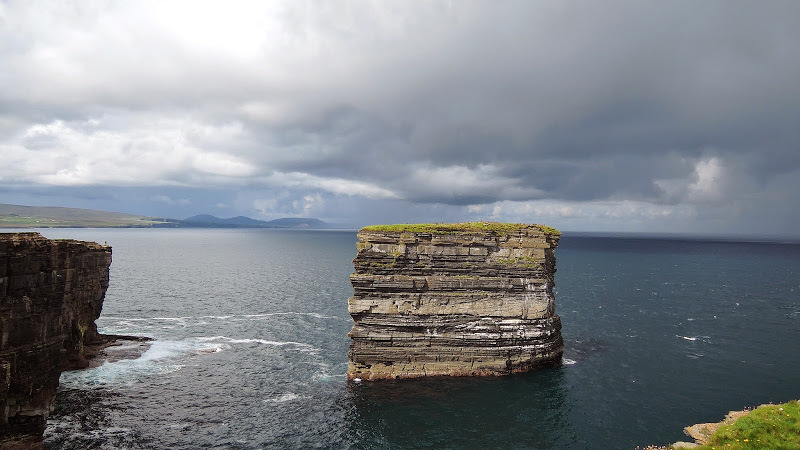 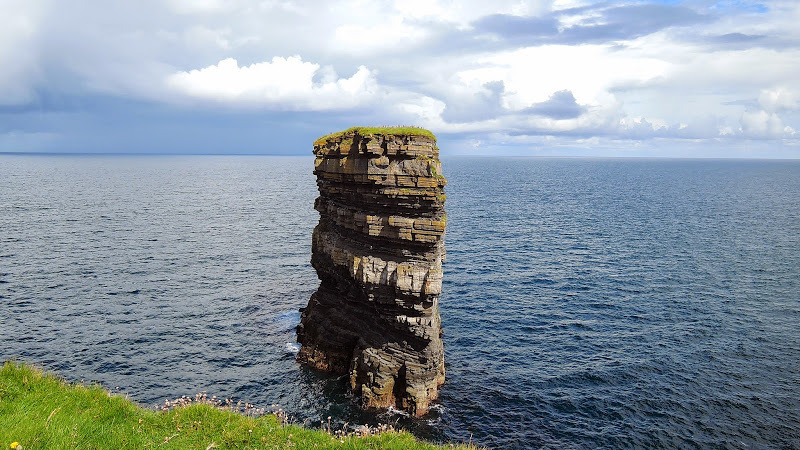 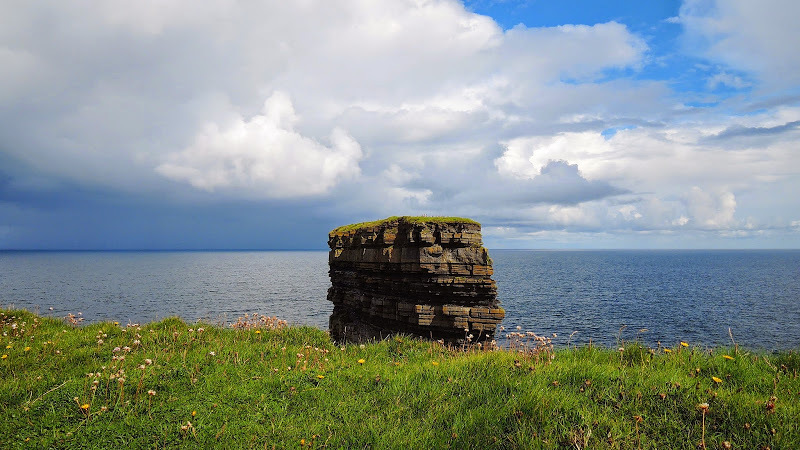 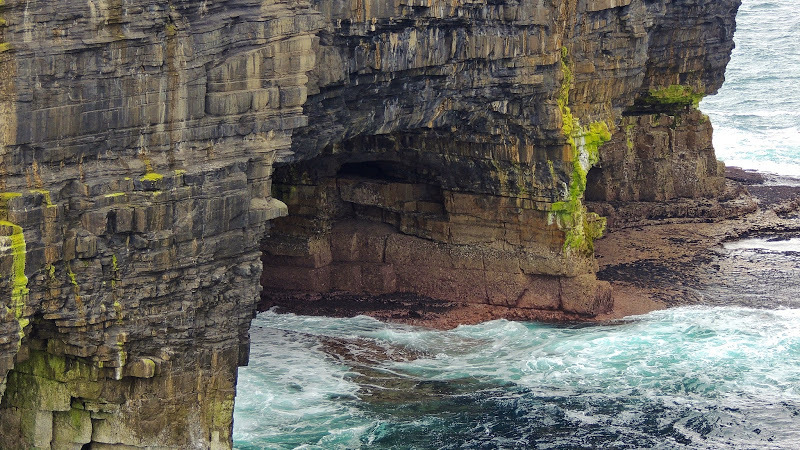 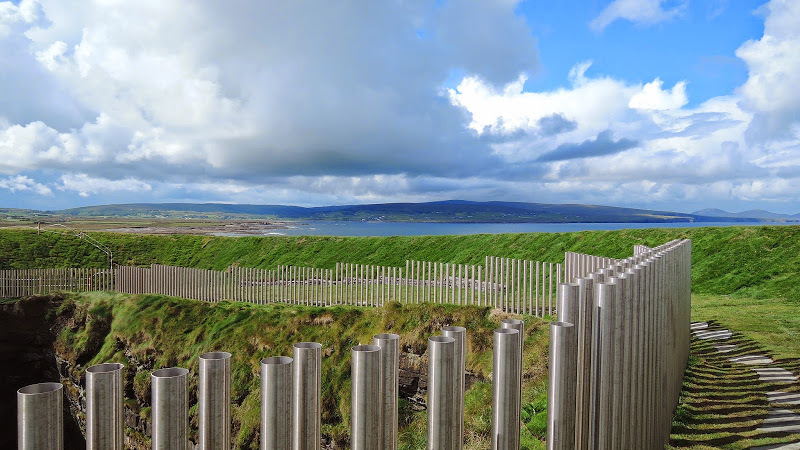 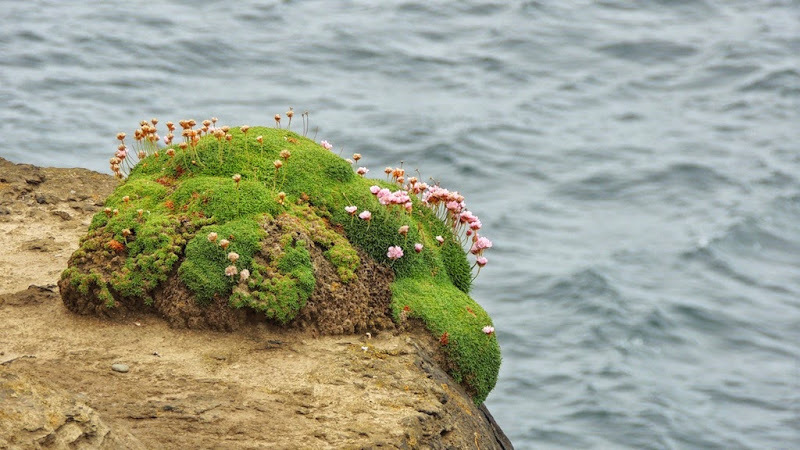 DownPatrick Head is one of two Signature Points on the Wild Atlantic Way in Mayo and hosts the 2014 Spirit of Place, a new installation to commemorate the natural power and richly-layered historical tales of the site. 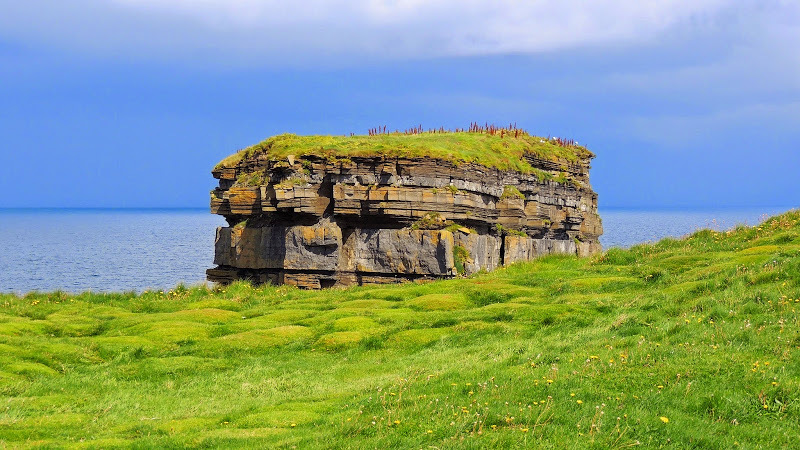 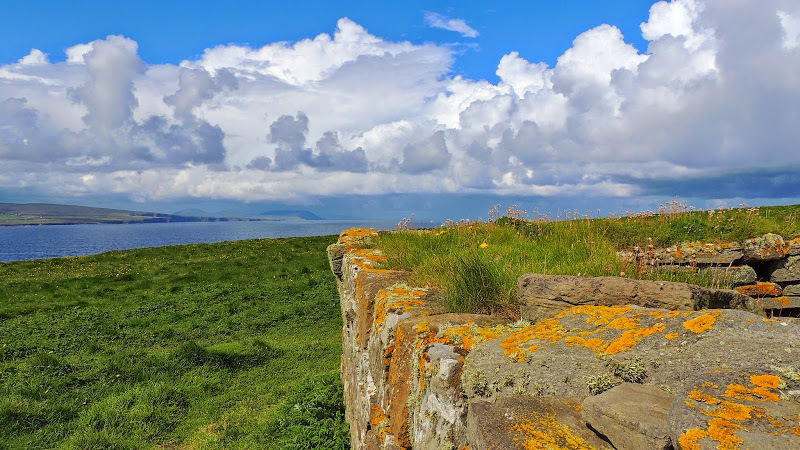 It is located 3 miles north of Ballycastle village standing 126ft above the sea with fantastic views of the Atlantic, the Staggs of Broadhaven and high cliffs along the shore. 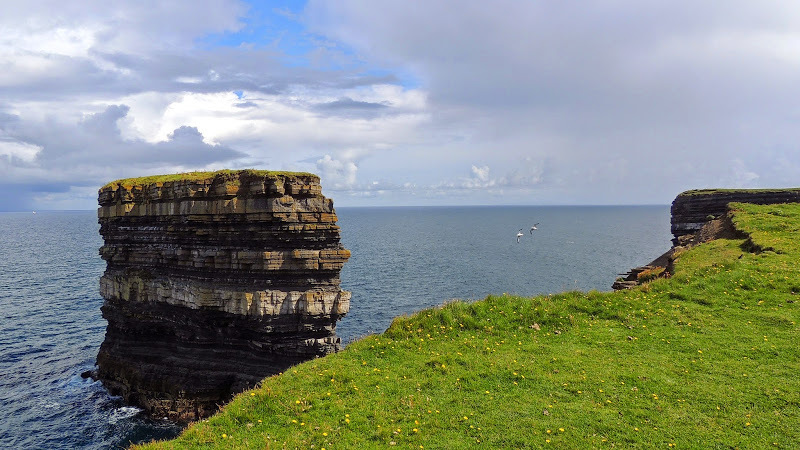 The small stone building at the top of Downpatrick Head is now used to view the many species of birds on the iconic ’Dún Briste’.